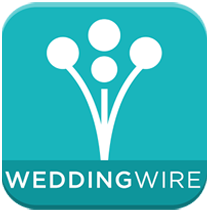 A nine-piece group comprised of seasoned veterans as well as hot young talent, FRONT OF HOUSE turns every wedding reception into the magnificent evening every bride and groom dreams of. Led by David Sherman, this band’s signature sound always includes great vocals, sizzling horns and a driving rhythm section. True professionals in every sense of the word, our band members know how to energize any crowd. Our concert-like stage show creates an exciting dance atmosphere, filling the night with a contagious fun that is sure to delight every guest. At the same time, our diverse music selection – everything including Sinatra-style jazz, all the great R&B of the 60’s and 70’s, classic rock from the 80’s and 90’s, and contemporary pop as well –captures all the romance and elegance of this very special occasion. 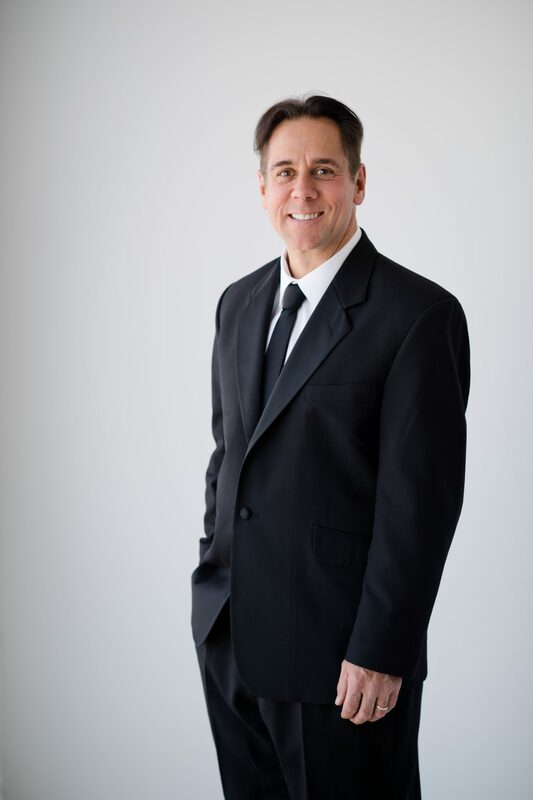 David Sherman has been singing professionally for over 20 years. 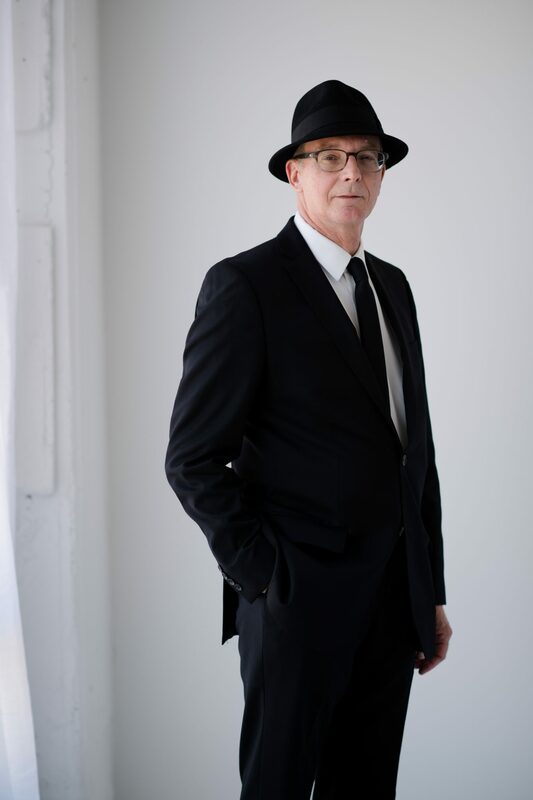 He has performed in rock bands, swing bands, a mambo-rock band and with his original orchestral pop group The Steak House Mints. In 2008 The Steak House Mints released their debut album, Out of The Sky, to critical acclaim. He has opened for such legendary artists as James Brown, Carlos Santana, Harry Belafonte, Maceo Parker, and Pancho Sanchez. David has played in 42 of the 50 United States, in Cuba, and in Dubai. He has appeared in various theatrical productions in Chicago and at The I.O. Theater on one of their performance teams. He can been seen just about every Thursday night at The Green Mill Lounge with Chicago’s finest swing band The Swing Shift Orchestra. David is excited to be leading Front of House and enjoys living with his wife and his cat in Chicago’s Edgewater neighborhood. Front of House is proud to present the soulfully sweet and versatile sounds of Rebecca Brown. 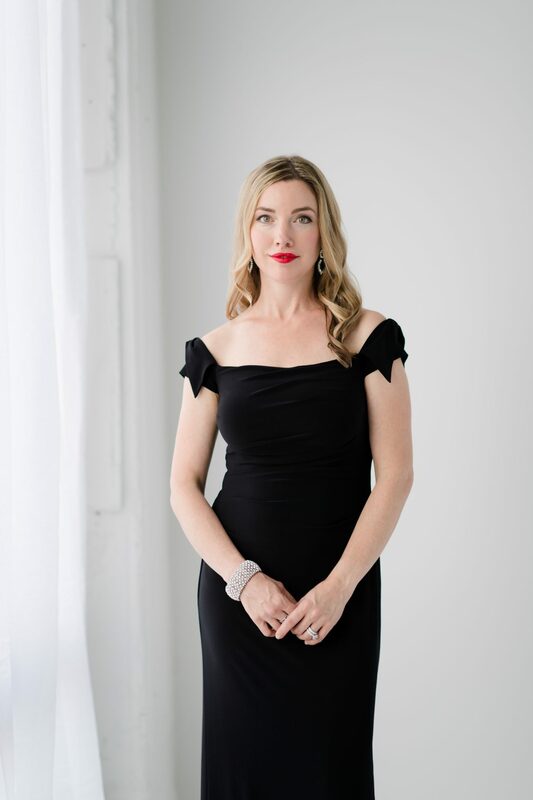 She earned her degree in Music Business at Millikin University, during which time she toured internationally with the vocal jazz ensemble One Voice, critically acclaimed in DownBeat Magazine as a top 10 College Vocal Jazz Ensemble. She was also featured on Good Morning America with the University’s Premiere Choir. 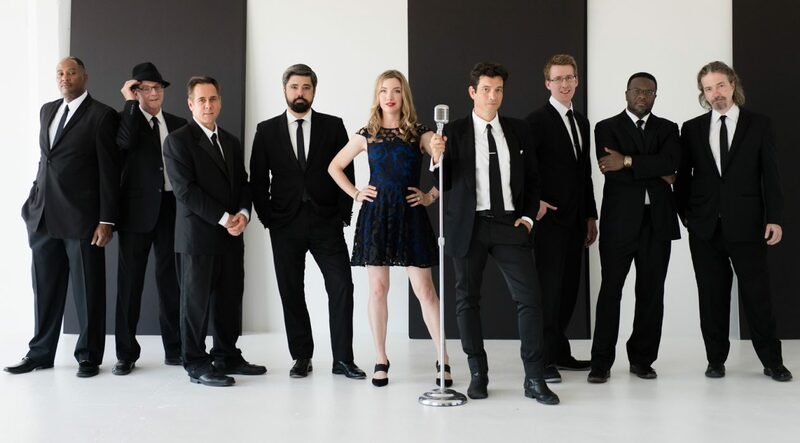 Rebecca has been singing professionally for more than 10 years as a lead singer with Royal Caribbean Cruises, in various independent recordings ranging from pop to musical theatre, and as a voice over artist in Los Angeles. Her flexibility and range will captivate fans of pop, jazz, R&B, and Motown. Rebecca is thrilled to be a part of one of Chicago’s most energetic and enthralling groups of entertainers. LeTroy Jackson, Front of House’s newest singing sensation, is guaranteed to electrify your guests with his soulful vocals and magnetic presence. A bold and versatile performer, LeTroy has been singing for most of his life, starting in church at the age of nine. After sharpening his skills in the music program at the University of Illinois at Urbana-Champaign, LeTroy returned to Chicago and immediately began to heat up the local club scene with his unique R&B tenor vocals. 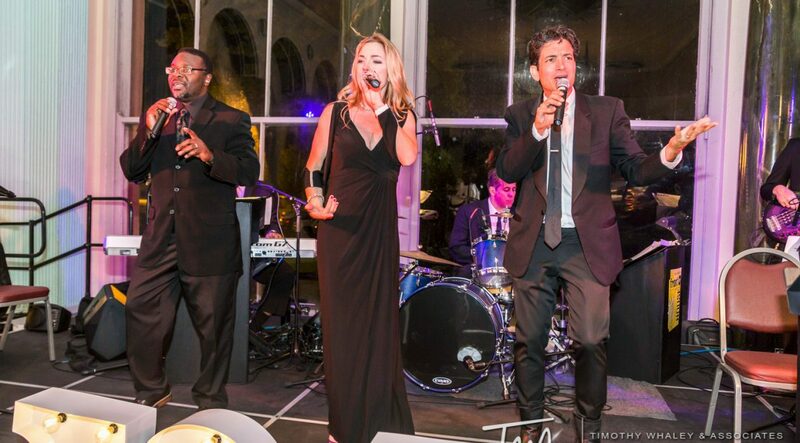 Equally at home in Contemporary music, R&B, Motown, Gospel and Jazz, LeTroy now brings his powerhouse vocals to Front of House to create a thrilling combination sure to make your event the talk of the town. Nick Sednew has quickly built a broad career as a jazz musician, trumpet player and teacher. His performance experience includes David Baker’s IU Jazz Ensemble, Grupo Niche, Wanda Jackson, Beveled,Terry Bartalota Group, Matt Ulery’s Loom Large, and Alan Gresick’s Swingshift Orchestra at the famous Green Mill. He is featured on recent recordings with Chicago Afrobeat Project and Terry Bartalota Group. Nick has toured the country playing trumpet with the broadway musicals “Man of La Mancha,” “A Christmas Story,” and “42nd Street,” as well as the vocal group “Under the Streetlamp.” We’re so glad to have him in Front of House! 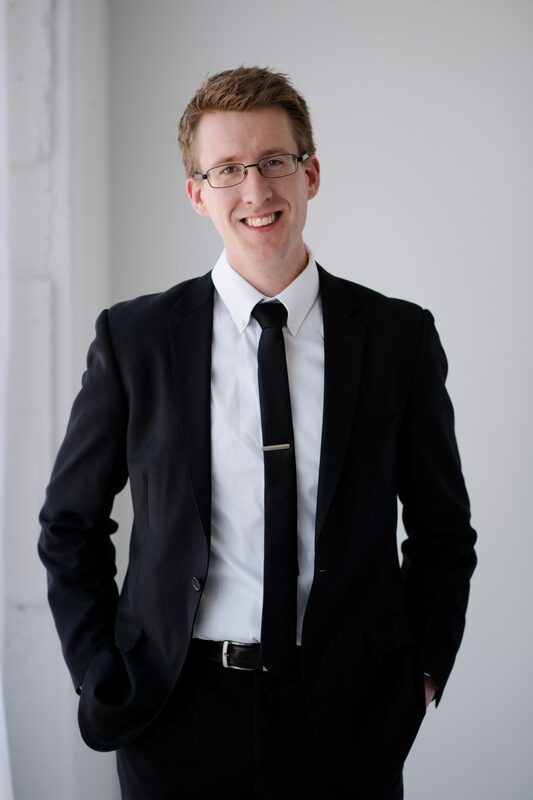 Mark Hiebert is an in-demand saxophonist and educator in the Chicago area, and is regularly involved in original projects and collaborations with musicians and educators from around the country. 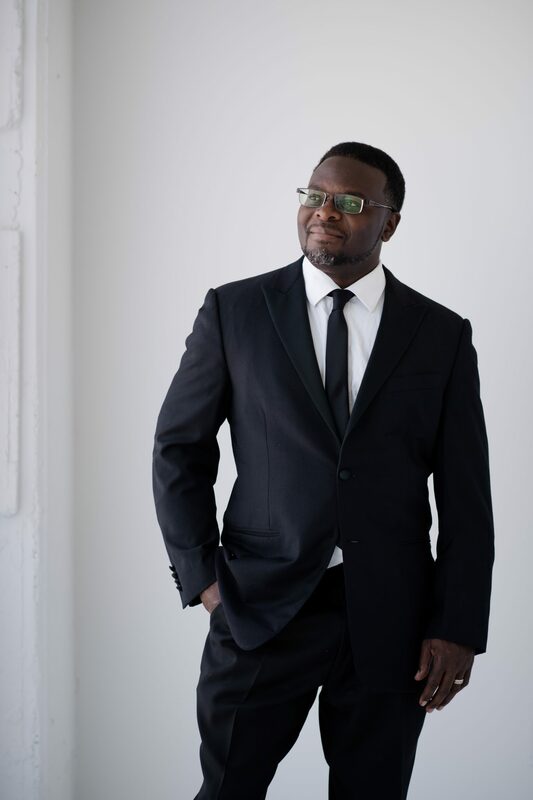 He has earned both his Bachelor’s Degree in Music Education and his Master’s Degree in Jazz Composition from DePaul University in Chicago, IL. Shortly after arriving in Chicago, Mark began his music career, and has since performed and recorded on saxophone and woodwinds with Natalie Cole, the Four Tops, the Temptations, Frankie Valli, The Lionel Hampton Orchestra featuring Jason Marsalis, Jeff Hamilton, Malik Yusef, Benny Golson, Phil Woods, Tito Puente, Jr., Daphne Willis, and Too Live Crew, along with fine bands like the Chicago Afro-Latin Jazz Ensemble, Mulligan Mosaics, Rob Parton Big Band, Joe Clark Big Band, Model Citizens, M13, Tom Matta Big Band, Ian Torres Big Band, Model Citizens Big Band, and the Alan Gresik Swingshift Orchestra. Curt moved from Normal, IL to Chicago in 1979 and has since appeared and/or recorded with a wide variety of national stars including the 5th Dimension, Herb Ellis, Florence Henderson, Hal Russell's NRG Ensemble, Suzanne Sommers, Dweezil Zappa, Big Guitars From Memphis, the Drifters, George Benson, the Coasters, John Gary, and Jeff Lorber. Local credits include time spent with Kevin Matthews, John Campbell, Howard Levy, Frank D'Rone, Patricia Barber, Dave Urich, Mark Colby, Paul Wertico, Frank Mantooth, Johnny Frigo, Som Brasil, and Janice Borla. He is also a talented decorative painter whose work will be featured in a fall 2005 issue of "Old House Journal". Brian has been performing music for over 25 years, starting out in the Gospel field at the age of 12. In 1985, he toured with the world-renowned Staples Singers. 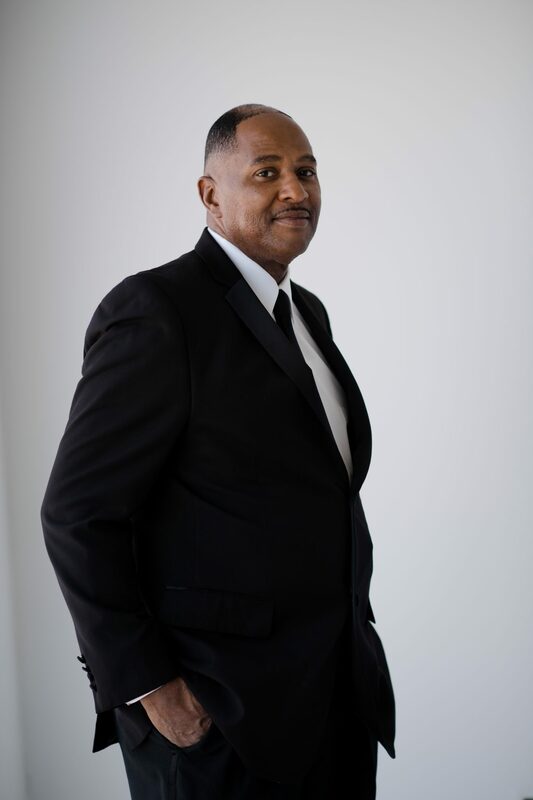 He has since developed a stellar career, performing and touring with such artists as Lou Rawls, Patti Labelle, Anita Baker and Art porter, to name just a few. His piano and keyboard talents were recently featured on the 2005 All-Star Smooth Jazz Tour, performing with Brian Culberson, Rick Braun, Nick Collione and other nationally-known jazz artists. 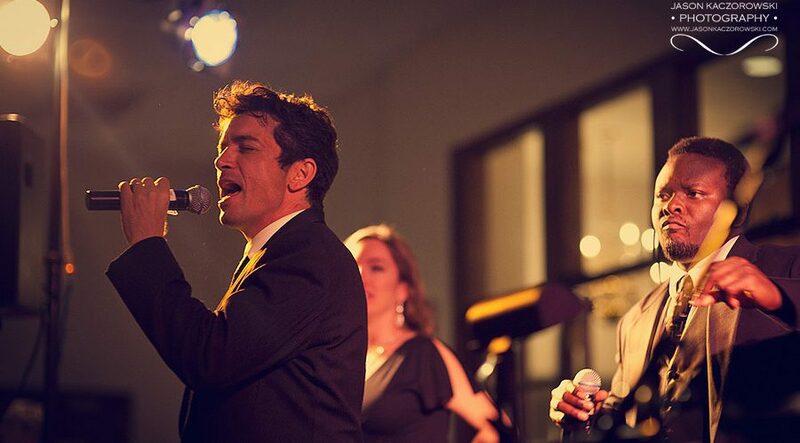 Brian is also a wonderful vocalist, a well-kept secret in the jazz world. We are thrilled to have Brian as the newest member of Front of House. Bret’s ability to play a diverse range of styles has enabled him the pleasure of performing in a very eclectic mix of musical situations. He toured two years with pop star Tiffany and can be heard on two of her CD’s, “Dreams Never Die” and “All The Best.” As a member of Grammy nominated funk band Liquid Soul, he opened for Sting including playing New York’s Central Park, the legendary Fillmore West and numerous TV appearances. He has backed an array of international artists from “soul man” Sam Moore, Little Anthony & The Imperials, The Crystals, Donald O’Connor, to jazz greats Clark Terry, James Moody, Jon Faddis, and Phil Wilson. 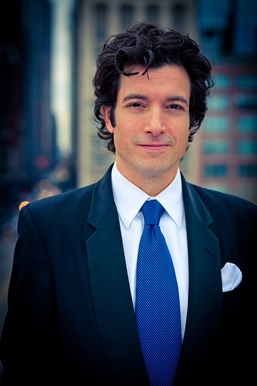 No stranger to the theatre, Bret has performed hundreds of shows including recent Chicago Broadway hits The Full Monty, A Chorus Line, and swinging the big band in Ron Hawking’s “His Way”, NBC Tower, Chicago. Tom is thrilled to be the newest member of Front of House! For over 10 years he was principal string player in the Boston, then Chicago cast of Blue Man Group. 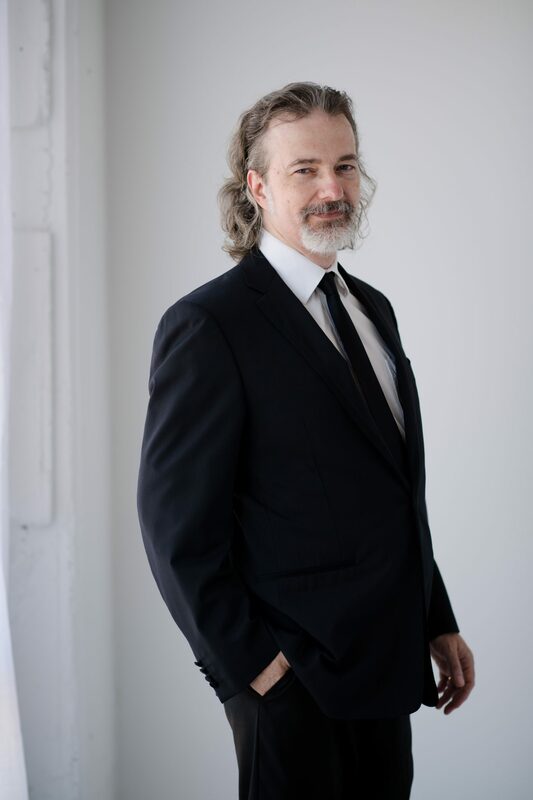 He released two jazz albums on the CVM label: "The Electric Distant Surfacing" and "Spark and Luminance," and in the last decade scored two independent films for the Illinois-based studio Downstate Productions. 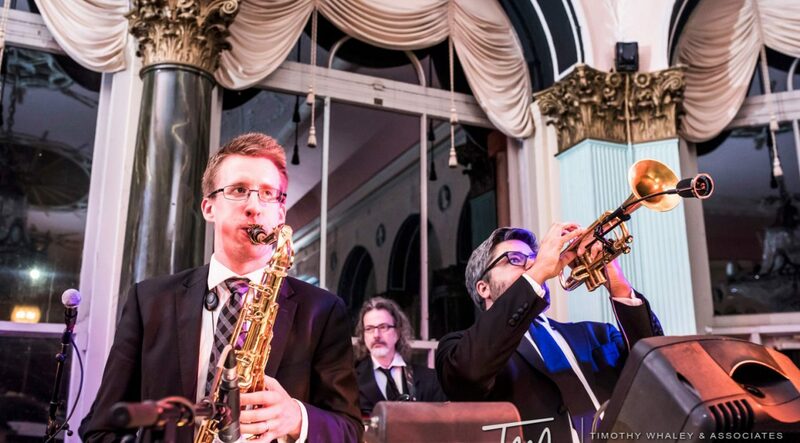 A student of jazz, rock, pop, soul and world music, Tom enjoys using his versatile style for each Front of House event! 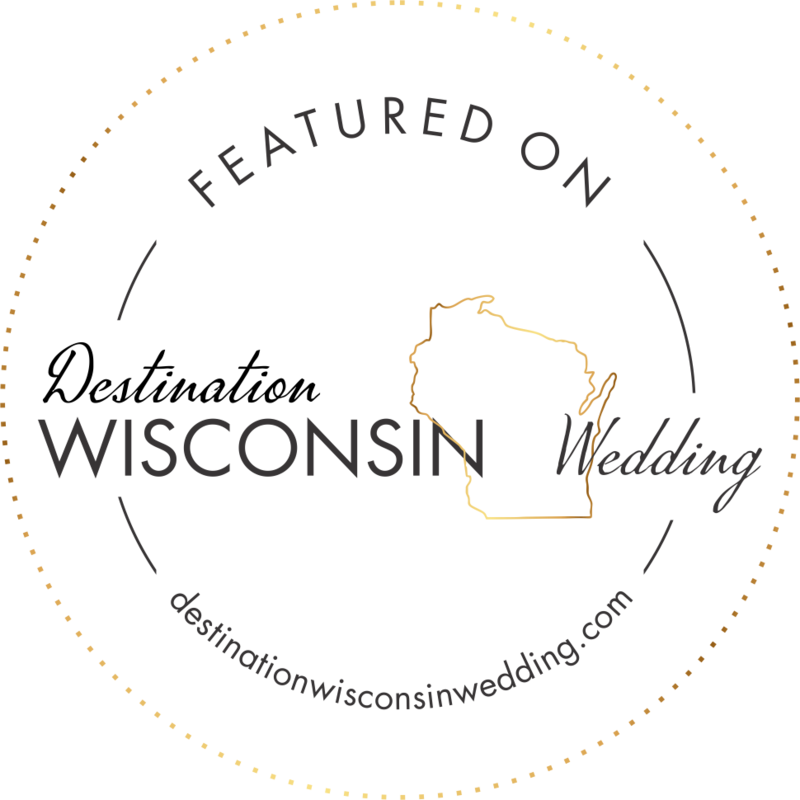 Click on the image above for a great article on a Front of House wedding in Milwaukee! 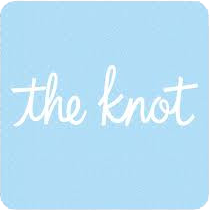 Thank you for sharing your knowledge and wedding band expertise for our recent wedding. Your services made it a wonderful and memorable event. From the first dance song "One Fine Day" to the last song "All I Want for Christmas is You" and every song between, the dance floor was on fire! People haven’t stopped raving about the band. The vibe that was set exceeded our expectations, couldn’t have asked for a more fun dance floor! We owe it all to you and your wonderful band. I will continue to recommend you guys and hope to enjoy dancing to your music at another event in the future. 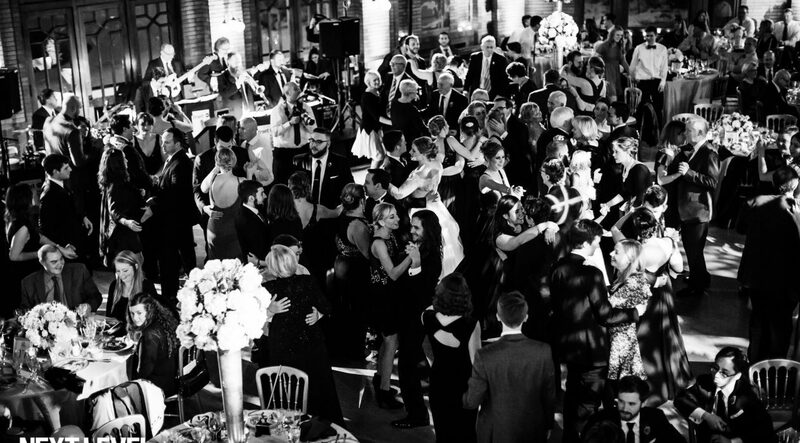 When planning my wedding, the one thing that I really wished for is that my guests had a great time and danced the night away. 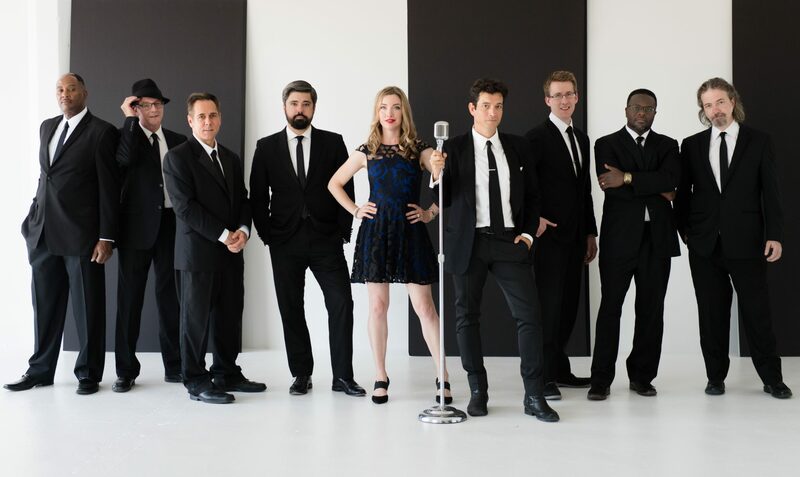 After hearing a few people recommend David and the Front of House band, I was hopeful that they would be the perfect band for my wedding. However, they blew away all of my expectations and helped make my wedding even more special than anything that I could have ever imagined. I cannot say enough good things about David and Front of House. 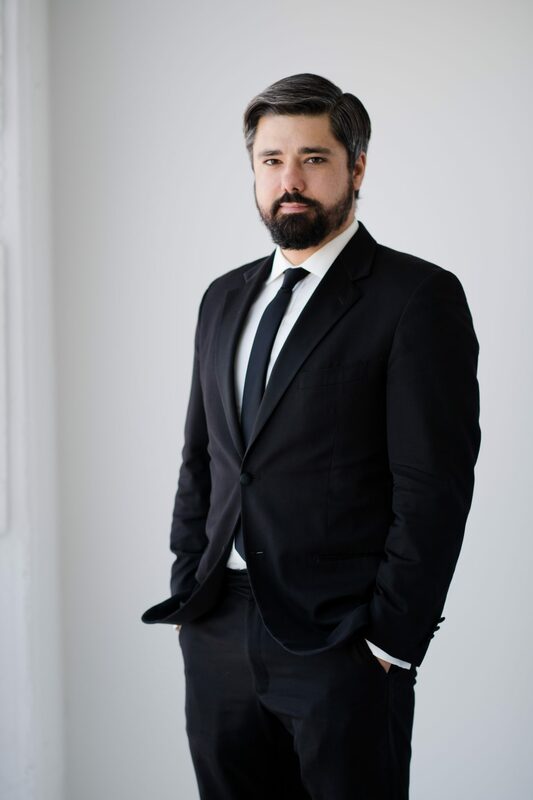 Not only were they very professional and awesome to work with (especially considering we were planning the wedding from NYC), David was very communicative and open to play every single song we wanted- including some last minute additions to the playlist. They worked with my planner and myself to create the perfect timeline for the night in order to keep the energy going, and it paid off. The dance floor was packed the whole night, even with people who I have never seen on the dance floor. Even though we extended FOH for another hour (until past midnight), the dance party never thinned and the same amount of people were on the dance floor during the last song as during the first song they played. The next morning, I couldn’t get enough compliments for choosing FOH. 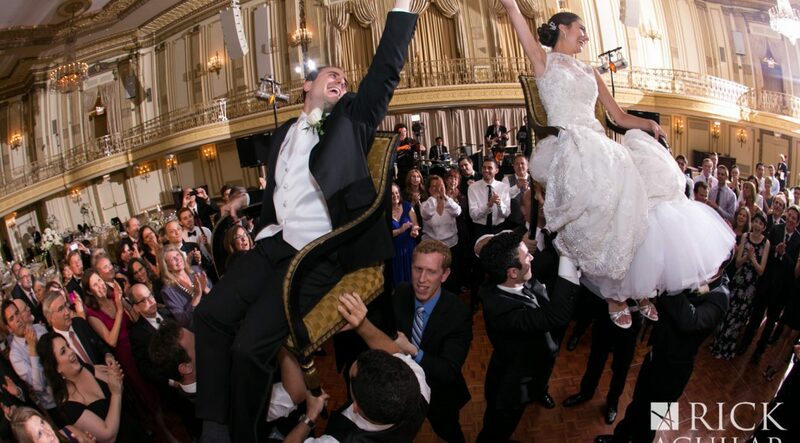 So many people told us that it was the best band and the most fun that they had ever had at a wedding. I would ABSOLUTELY recommend David and Front of House! We were BEYOND impressed with their music and voices and unbelievably happy with this decision. They literally made our wedding. Even though my wedding is over, I cannot wait to attend another wedding where FOH is playing. Thank you and your band for absolutely rocking our wedding! Every person we talk to comments the exact same way…”Best band ever!” We were so happy with how everything turned out. I just want to say thank you so much for playing at our wedding. We thought you were absolutely amazing and we got SO MANY compliments on you and your band. Everyone was dancing the whole time and we owe it all to you. You kept the crowd going and listened to what songs I wanted you to play and there wasn’t one song we wanted to sit out. You and your band are truly talented and we would recommend you to anyone! David and Front of House made our daughter and son-in-law’s wedding reception the ultimate in music and dance fun and entertainment. From the planning session, to the playlist, to the energy all evening, David and FOH made it a memorable evening. 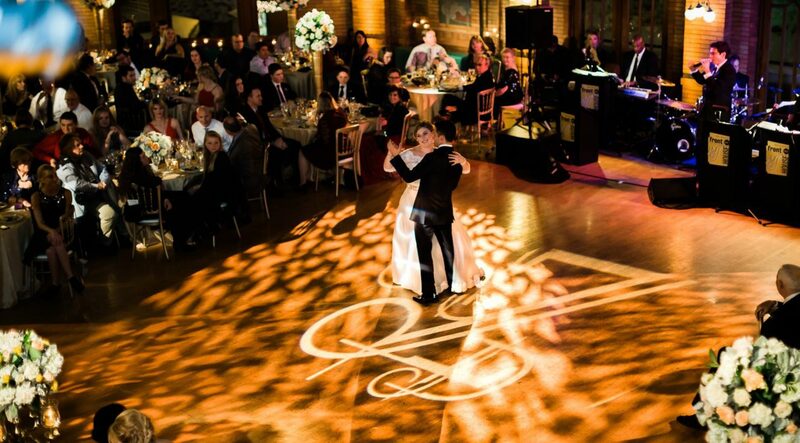 They kept the guests on the dance floor all night and received great reviews. We would recommend Front of House for anyone looking for a great band and vocalists that know how to please a crowd. We are mindful of and grateful for the part you and group played in making it wonderful. Many people commented on the musician’s talent and the fact that the dance floor was full all night. Thank you for all of it! 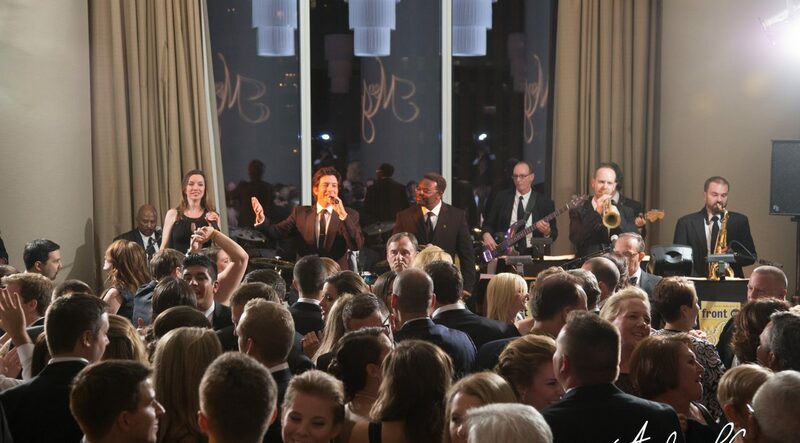 Thank you again for providing an amazing evening of music and entertainment at our daughter’s wedding on Saturday, May 19, 2018 at the Milwaukee Art Museum. 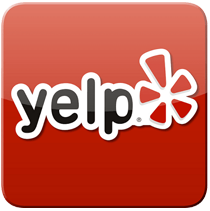 We have received so very many complimentary comments from our guests about your talented group of musicians! The song choices were perfect for the crowd, and the energy you bring to an event is unparalleled…the dance floor was packed all night! In short, you are truly the most impressive band we have ever had the pleasure of listening and dancing to. As you know, this is the second time you have played at an Arnold wedding. 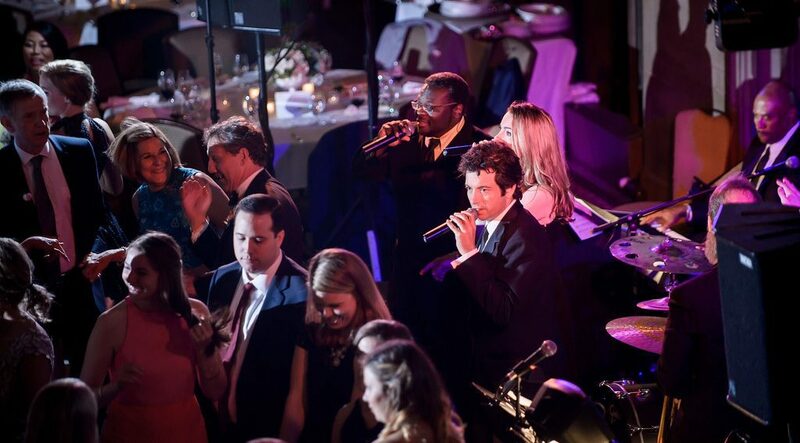 We cannot imagine having any other wedding band than Front of House. I just wanted to express my observations, feelings and take ways from your band’s performance at our family wedding on 2-17-2018. The conduct, the manners, the dress and appearance of the band can only be described as first class and professional. Your ability to expertly take control of the room and coordinate the guest’s attention to the wedding speeches is a special gift. You and your band are a team of professional musicians at the highest level of quality and talent. The band energized everyone in attendance. During the planning process, you delivered on any follow-up request that we had, and this is very appreciated. Our family cannot thank you and your band enough for such an amazing, professional, beautifully performed, high-energy performance! 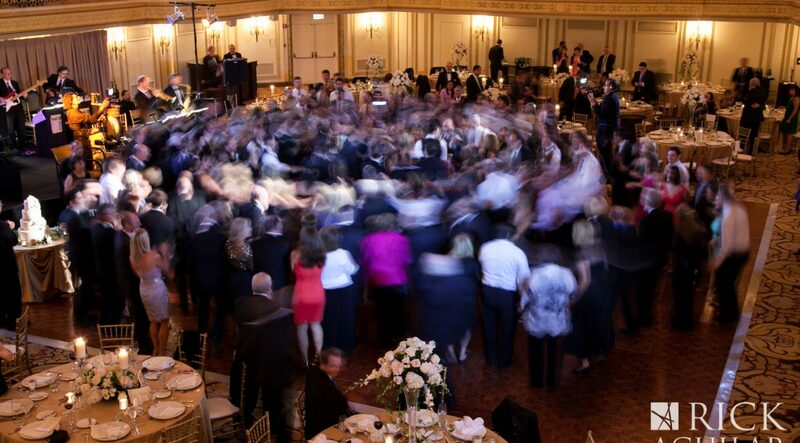 Our family has attended many weddings and you and your band from the first beat to the last song note had the dance floor packed with people enjoying every second of your performance! THANK YOU FOR DELIVERING A MEMORY FOR A LIFETIME! My husband and I booked Front of House for our wedding this past February, 2018. All I can say is "WOW." David and the band were incredible. Little did we know, but they received special requests from my dad and sister for their speeches and worked with my husband's Godmother on special performance. They truly went above and beyond for our wedding. Their level of professionalism and talent was amazing. They had the entire dance floor packed the entire night! We had so much fun and it's safe to say the rest of the wedding did too. David was also an amazing MC who did a fantastic job of controlling the room during speeches and moving the night along. Overall, I can't say enough good things. I wish we could do it all over again. Highly, highly recommend if you're looking for a great band and a great party. Total pros! 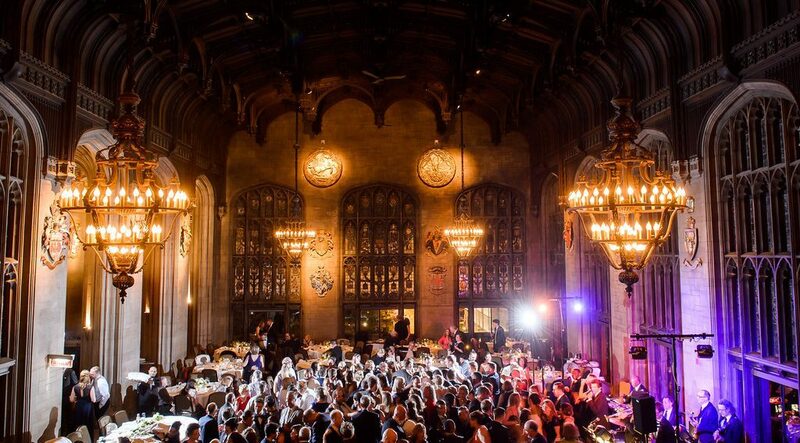 We were nervous about hiring a band for our recent wedding at the Harold Washington Library, as we had heard that the acoustics could be a little tricky in the Winter Garden. However, from our very first meeting with David Sherman from Front of House, we knew that we didn't need to be nervous any more. When we asked David if he had played at the HWL, he said that he had, and before we could even ask our question about the acoustics, he followed with, "It can be a tricky venue, but we've played it enough that we've figured how out to rock it." And rock it they did. Front of House was INCREDIBLE. From helping us choose our processional music to playing the Cantina Song from Star Wars during dinner, to keeping the dance floor rocking, everything they did was absolutely amazing. Our guests kept asking us who our band was, and both the older and younger crowds said that the band was one of their favorite parts of the wedding. We couldn't agree more - from our first dance as a married couple to the last dance of the evening, David Sherman and Front of House were amazing. The reviews are in and they are spectacular! Everyone is talking about the fantastic music we all danced to through the night. I know I mentioned this before, but you had the floor packed all night...right up to midnight. We had a hard time getting people to leave!! Also, a thousand thank yous for letting Miranda Rae Mayo take the stage. That was a moment that was unforgettable. What a testament to your musical abilities to roll with that and make it all sound SO GOOD! Even the sound engineering...filling the room with music without blasting us away. I know how difficult of a job that can be in such a big space, but it was really perfect. I can't thank you enough for being so easy to work with, so accommodating to our requests, your professionalism, and most of all, your AMAZING music. 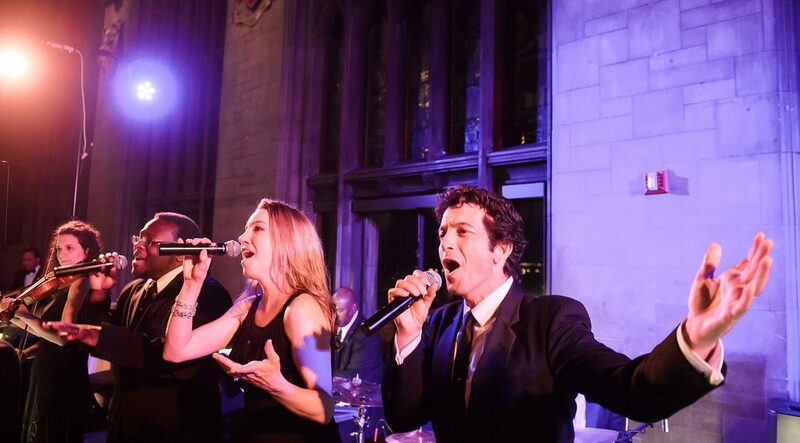 Founded by Ken Arlen, Arlen Music is a Chicago-based entertainment company that specializes in providing live customized music for special events. 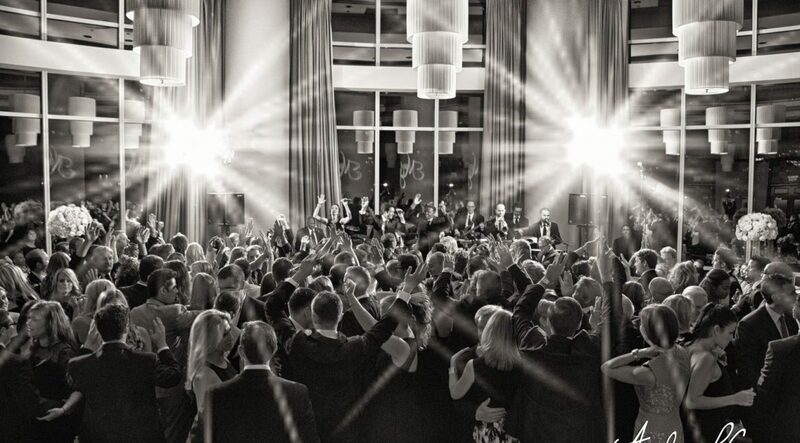 Winner of the 2015-2017 Best Band by Make It Better Magazine, Arlen Music is recognized as the leader and trendsetter within the Chicago special event industry. 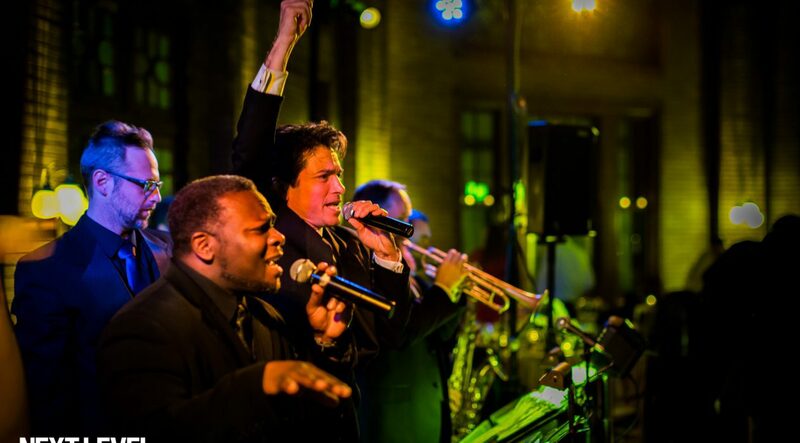 Its premier band, the Ken Arlen Evolution Orchestra, has also developed a nationwide presence with performances ranging from New Year’s Eve at the Bellagio in Las Vegas, to the Presidential Inaugural Ball in Washington, D.C.